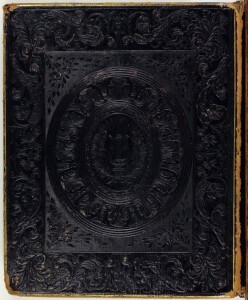 In its significant collection of women’s friendship albums from the 19th century, the Library Company has a valuable artifact of cultural and social significance which brings to life the world of African American activist women in antebellum Philadelphia – a beautiful album once owned by Amy Matilda Cassey, wife of rich African American abolitionist, businessman, and community leader Joseph Cassey. The album is filled with poetry, essays, sketches and floral watercolors collected by Cassey between 1833 and 1856. Amy Cassey was involved in the Philadelphia Female Antislavery Society, local black literary and debating societies, and other reform movements. Her album is filled with calligraphed poems, inscriptions, essays sketches and watercolors which illuminate and further document the active and intimate connections of Philadelphia’s black leaders to a larger network of activists and reformers. Among the 51 notable contributions are entries from Sarah Mapps Douglass, Margaretta Forten, Frederick Douglass, William Lloyd Garrison, and Wendell Phillips. Amy Cassey’s album is one of only five of its kind known to have survived intact. A few years ago, the Library Company acquired two other albums owned by African American women of Philadelphia, two sisters, Mary Anne and Martina Dickerson, whose family was also involved in abolition and civil rights activism. 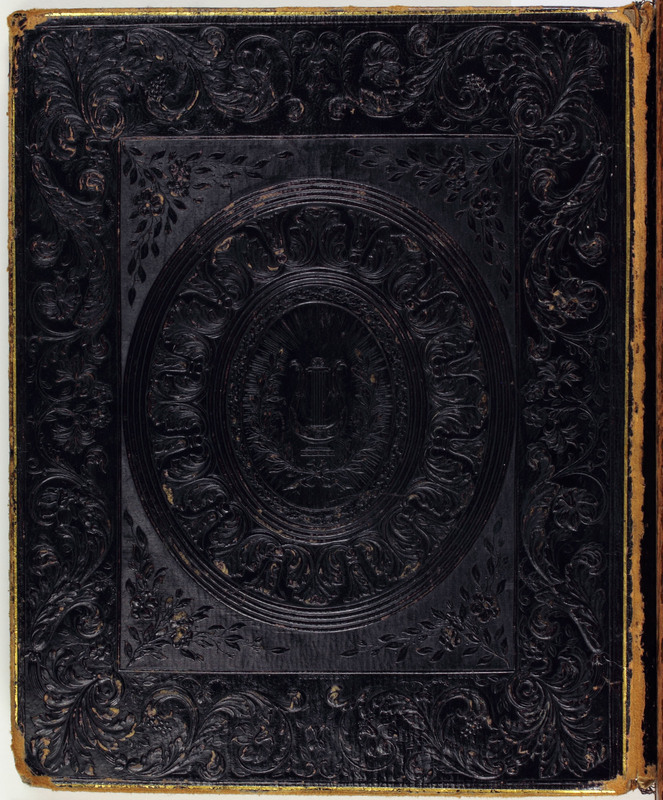 Their albums include several inscriptions and decorations by many of the same people in Amy Cassey’s album. Perhaps what is most striking to the eye in all three albums is the floral artistry practiced by upper class African American women of the day. These are likely the earliest known signed paintings by African American women. Amy Cassey and the women in her circle studied the drawing manuals, instruction books, decorative floral works, women’s periodicals and the “language of flowers” literature. The Library Company will be producing a note card of a flower study by Sarah Mapps Douglass, noted educator and abolitionist. Sarah Mapps Douglass was one of the few African American birthright Quakers and a genuine daughter of the revolution. Her grandfather, Cyrus Bustill, smuggled provisions to Washington’s troops at Valley Forge. The three albums together allow us entry into a private circle wherein the members display their accomplishments for each other’s pleasure and amusement. But it was more than just pleasure and amusement. Radical gentility in action, Amy Cassey and her colleagues challenged slavery in public meetings and defied public opinion with their racially integrated organization, published antislavery pamphlets, held fundraising antislavery fairs, and petitioned Congress for abolition. They helped form the first women’s independent political organization, the Antislavery Conventions of American Women. Within their ranks the fundamental arguments of the women’s rights movement were first articulated, and from their numbers came participants in the 1848 Seneca Falls Convention launching the women’s rights era. Copyright © 2019 LCP Album Project. Powered by WordPress. Theme: Spacious by ThemeGrill.